Kubu Lodge on the Chobe River is a must for comfort and affordability. This safari lodge in Botswana offers all the classic safari features and much more besides. A range of chalets provides family-friendly accommodation. Enjoy your home comforts and great facilities at this Chobe safari lodge. 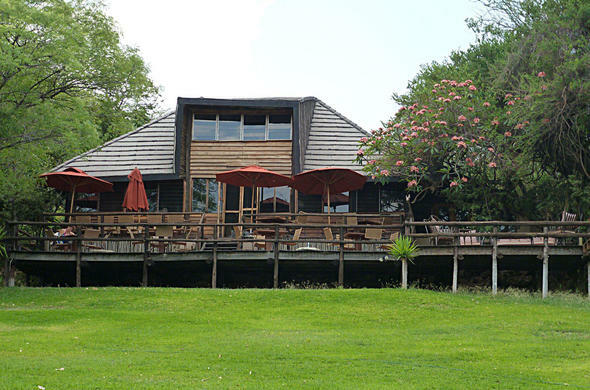 A first class restaurant and convivial pub provide a homely and welcoming environment to return to after game drives and boat cruises. The Chobe National Park is right on your doorstep at Kubu Lodge. This amazing conservation area is world famous for its Buffalo herds and massive Elephant population - they are hard to miss actually! These great herds are not all you'll see, this region is bursting with wildlife and the Chobe River is a top attraction. Predators abound, birdlife is prolific and you could also see the rare Chobe Bushbuck. Professional guides will take you on game drives and boating excursions so you can make the most of your Botswana safari. In between game viewing adventures you can visit the Biodiversity Centre at the lodge, go Tiger Fishing, do a nature walk, visit a Crocodile farm or enjoy a day trip to the fabulous Victoria Falls. If that sounds like too much, then simply relax at Kubu Camp by the pool or in the Summer House with a good book. The restaurant offers magnificent river views and food to match - bon appétit! Children over 4 years are welcome at Kubu Lodge in Botswana. At Kubu Lodge you can look forward to excellent home cooking, a bar, curio shop, game drives, boat cruises, nature trail for bird viewers, and a private secluded swimming pool. Each thatched chalet is raised on stilts with its own private terrace affording a birds-eye view of the river and gardens, a bird lover's delight.